Find the Right Job for Me! Don’t Settle – You Deserve the Best! I am excited for you to be a part of my community, where every pharmacist is in the right job for their personality and every pharmacy has access to the best talent! 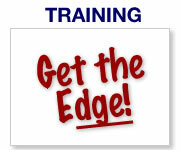 Check out the FREE resources to help you get the edge, let us know needs you have that we can help you with, and call us at (206)219-3630 if you want immediate support. 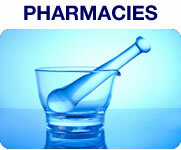 Tired of taking too long to find the right pharmacist for your positions, or not having the time to do it yourself? Don't let it cost you anymore--your search ends here. We are always networking with pharmacists, including making connections with pharmacists outside of traditional methods of recruiting. You will want us to be your partner in your recruiting efforts, in conjunction with what you are doing currently, or give yourself the relief by us completely taking it off your plate. Outsource this to us , because we specialize in pharmacy. Why settle for anything less that could cost you in the long run? Do it right the first time by having the right talent to choose from. For direct hire placements, we take our direction from you & start working for you FREE of Charge until you get results. Retained searches can also be arranged for your benefit, if you have more customized needs. For temp placements, we send you pharmacists who can jump in on day 1 to help with very little supervision, and require little management. Are you an IHS/Tribal Pharmacy? Indian Health Service: We provide IHS-experienced pharmacists for IHS federal & tribal facilities, both temp & direct hire. Our temp division, RPh Temp Service, sends you screened, top-notch pharmacists on demand. 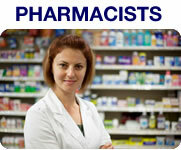 Pharmacist Job Connection offers you qualified candidates for your direct hire needs. Tell us what you're looking for , including dates for temp coverage needed, or your expected direct hire full-time needs. Also share with us what's important to you in the pharmacist you are looking for. "Top 5 Reasons Why Pharmacists Leave Jobs"
and how to prevent it so it doesn't cost you. Tired of working with recruiters who don't really get that there is a difference in skill sets between being an infectious disease pharmacist & a general clinical pharmacist? We speak your language. If you are adaptable, quick-thinking, and know that the right job is out there for you, we want to help you with their next career move. You deserve to be in the position that is right for your personality & strengths. We have the inside scoop & often hear about job opportunities before you do. We take extra care in finding what you’re looking for, and provide you with the right job, or give you direction to get you closer to where you want to be. Click on Current Job Opportunities to access our current open positions. We do not advertise every position. Read more to find out how you can get free access to unadvertised jobs. If you have experience, a positive attitude, and strong knowledge in the type of position you are interested in, a top recruiter will be selected to represent you in your job search. If you are a recent grad, we are one of the few companies that can help you land the right job through our expertise. Call our office at (206)219-3630 to find the job you want in this changing market. In the meantime, use the resources on our website to get you closer to the job you want. We do not advertise every position (some searches are confidential), so call (206)219-3630 for your individual needs. Request FREE Access to Unadvertised Jobs . The pharmacist shortage that we used to think would last forever (at least another decade) has shifted, and now many pharmacists are competing for fewer open jobs. The secret is that most hiring managers are still looking for the best talent, and need your help in weeding out less desirable applicants. You need to stand out in this tight job market. It is not optional anymore.